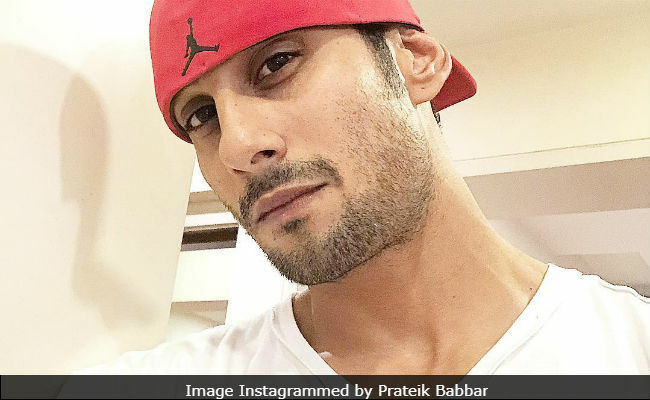 Bollywood actor Prateik Babbar, who married his long-time girlfriend Sanya Sagar last month and is gearing up for two films Chhichhore and Brahmastra, says he is in a happy space emotionally and looking forward to growing as an artiste. "I am emotionally content, of course, after marriage... There is a sense of stability. I think these days I have started using the word 'my wife' more in daily conversations, Prateik told IANS in an interview. "But I think when it comes to my craft, I am still like a child who is hungry to do everything. I am not yet a seasoned actor that I want to be, therefore I want to learn, I want to work with good people that will give me a chance to go deeper (into my craft). I am curious about acting.... That's how I want to be, to grow," added the son of late actress Smita Patil. Prateik's performance was much appreciated last year in the film Mulk, and he has recently appeared in the Amazon Prime Video web series Four More Shots Please! The show revolves around four girls and he played a supporting character in it. Asked what made him take up the project, Prateik said: "When the producer met me and I heard the story, I was super excited mainly because of the story. It is a story of new age women, who are unapologetic in their world, by their choice and they are empowered. I liked that. "I know that many people told me what it is a story of four women and I will just be in a supporting role, but I would say,Why not?" Having started his career in 2008 with the film Jaane Tu...Ya Jaane Naa, the 32-year-old actor has also worked in films like Dhobi Ghat, Ekk Deewana Tha and Umrika before working in a web series. Does he differentiate between mediums when it comes to his performance? No, not at all! I do not differentiate between medium and quality. There are different kinds of films and web series or short films, and production quality depends on the budget and also the story. So when it comes to my performance, how subtle a projection is needed, that depends on what I am playing." Considering how digital platforms are also not safe from the censor's scissors, Prateik said: "Censorship is disheartening and discouraging for a creative mind. "I think the decision of censoring content should be made story by story, and each case should be treated differently and sensitively. If the story is compelling and a scene or action is required as part of the narration, I find it stupid to censor it, really."